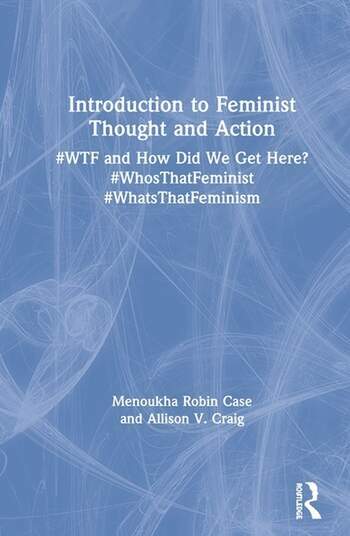 Introduction to Feminist Thought and Action is an accessible foundation that whets appetite for further study. It provides a non-US-centric introduction to gender studies, covering topics like 19th century African, Chinese, and Arab movements, and foregrounds Black and Indigenous feminisms. Several case studies—the Aztecs and the Spanish, Agriculture and Gender, Beauty and Authority, Racial Stereotypes, and US Voting Rights—reveal how the interconnected architecture of privilege and oppression affects issues like globalization, media, and the environment. Feminist theories about race, sexuality, class, disabilities, and more, culminate in step-by-step instructions for applying intersectionality and practicing activism. Rich with 19 diverse first-person voices, it brings feminism to life and lives to feminism. Menoukha Case holds a Master’s degree in English with a concentration in creative writing, a Master’s degree in Women’s and Gender Studies, and a PhD in English with a focus on women in Yoruba culture, traditionally and in diaspora. Her post-doctoral work has been in Indigenous Studies, with an eye towards Indigenous feminisms. She has taught relevant topics at several colleges (University at Albany, Simons’ Rock of Bard College, and Skidmore College), such as Race, Class, and Gender, Introduction to Women’s and Gender Studies, Native American Women’s Studies, Black Feminist Thought, and Feminist History and Theory. In addition, she brings feminist analysis into a wide variety of classes, from Mythology and Modern Life, to Water: Local and Global Issues, to Roots & Routes of African Diaspora Resistance. She is currently an Associate Professor at SUNY Empire State College, where, along with teaching and mentoring, she develops and supervises online courses, including Introduction to Women’s and Gender Studies. Allison V. Craig began her work in feminist study while pursuing her master’s degree in English from Virginia Tech. She completed her doctoral degree working on issues of society at culture, with an emphasis on gender and crisis, in the English department at the University at Albany, SUNY. Her dissertation, "‘Only a Girl Like This Can Know What’s Happened to You’: Traumatic Subjects in Contemporary American Narratives," examines the difficulty of representing traumatic experience and the problem of seeing violence and exploitation as natural and inevitable functions of social life. Dr. Craig currently teaches in the Writing and Critical Inquiry Program at UAlbany, using her expertise on trauma and empathy as tools to foster critical awareness through writing. She also teaches at SUNY Empire State College, focusing especially on issues of social injustice, and genocide in particular. You can find her current article, "Latter Days: The Election, the "N" Word, and the Anti-Intellectualism of 2016" at The-Broad-Side.com.